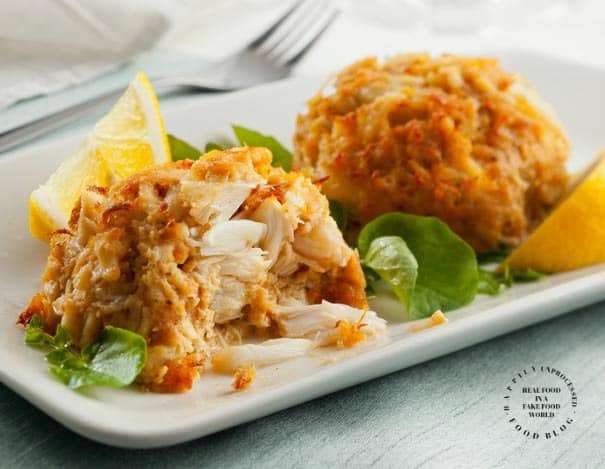 Beautiful fresh Chesapeake crab meat, just enough binders to hold it together and a hint of Old Bay is all it takes to make these glorious crab cakes. 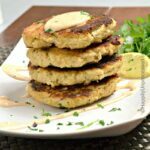 This crab cake recipe comes from a very well known seafood restaurant in Annapolis MD, a place my family and I would frequent when we lived in Virginia. One of the MANY seafood restaurants we would visit while we lived there. If you’ve never had Maryland crab cakes they differ from other parts of the country and in some restaurants. They use very little filler, translation – breadcrumbs. 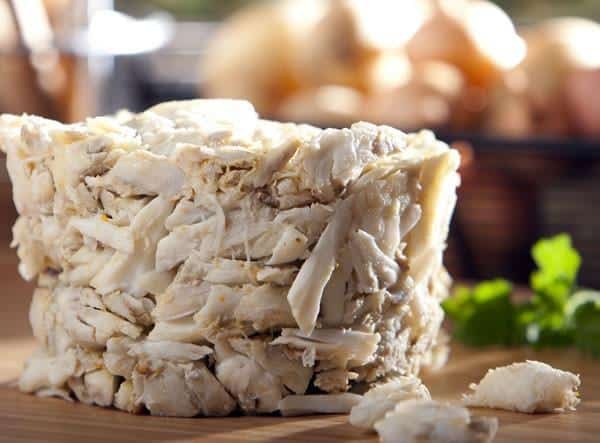 If you are used to frozen crab cakes or have eaten them in a restaurant, chances are they are more binder and filler than crab. This recipe follows the Maryland way of making them which is a combination of lump crab meat and claw meat, an egg to bind, some spices and very little breadcrumbs or crackers. So where am I getting this amazing Chesapeake crab in the middle of the country? Well I did what anyone else who lives in the middle of the country would do … I went to the internet. I have found a few really good sources for Maryland crab. The Crab Place is one, Camerons Seafood is another. I do not get anything for the shout out, they are just places I have used before and recommend should you want to splurge a little and get the real deal. Just look around and be sure the crab comes from the Chesapeake Bay. See what I mean? Just look at all the fresh crab ! Let the crab steal the show. Too much of anything else (binders, egg, spices) will take away from the crab which, besides being really expensive, is what you want to taste. If you can, use jumbo lump crab. I personally use half lump crab and half claw meat. You will need some sort of a binder, which is traditionally mayo and/or egg. 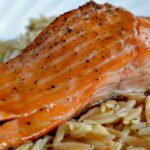 This recipe uses both, but sparingly. You will need a little (and I do mean a little) spice. Nothing beats good ole Old Bay. The next element is a filler. Some restaurants insist they use little or no filler. Most places use at least some stale bread crumbs or crushed crackers to give body and lift. In reality, the filler helps the crab stretch a little farther. I would encourage you to use as little as possible, but some is needed. Some recipes also call for yellow mustard or a Dijon mustard and/or Worcestershire, which are traditional ingredients. They are not necessary but do add depth and a little flavor. Lastly, and MOST importantly, how you mix and combine the ingredients is key. Picture mixing the crab like you are picking up a baby bird. Cup the crab and slowly turn it over. Do NOT mash it like a hamburger. Do NOT pat it between your hands. Very softly make a snowball and lightly pat it. If you want to get real traditional, the seafood restaurants on the East coast do not fry the crab cakes, they broil them. This not only saves a lot of calories but again allows the crab flavor (not oil) to come through. Now tell me that doesn’t look like a killer crab cake?